Similar to the other Mini Shadowbox Lids, but this design is made for the largest Mini Shadowbox (3.5x5.5). Easy to fold up and glue together (it's pre-scored on the folds). 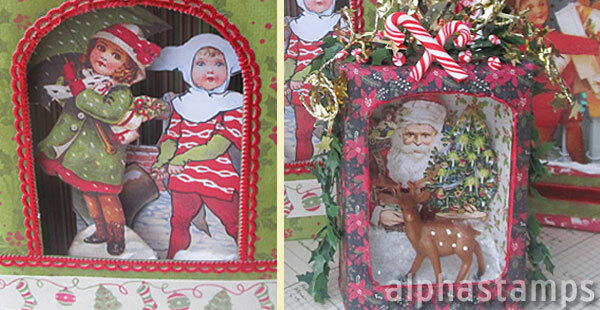 Design Team Member Rhonda Thomas made A Nostalgic Christmas Display (see the wide photo below). More info in the blog and/or see the supply list.